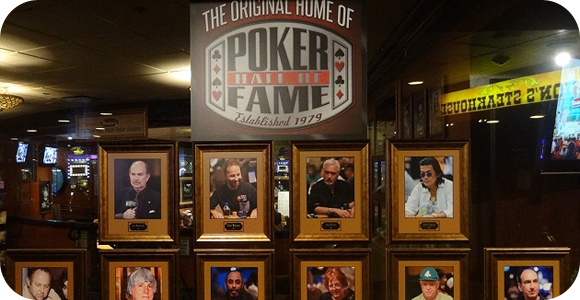 Poker fans and players will have until Saturday, August 15 to place their votes on which professional players should get inducted into the Hall of Fame this year. Out of all the nominees, only 10 finalists will be selected through this process, where the final people will get chosen by previous Hall of Fame members, as well as blue ribbon panel. Must have played poker against top and knowledgeable opponents. Minimum of 40 years of age. Played at a consistently high level and performed well. Have continued to play throughout their lifetime. For non-players: contributed to the overall growth and success of the game of poker, with indelible positive and lasting results. As you can see, just because you have won one or two important events doesn’t make you worthy to be on the wall. Players will spend most of their life chasing after the glory and fame that comes with being a professional player, but only a few will have the chance to get placed among legends. There have been two inductees each year since 2005 (except for 2009), and we expect two more this year. Anyone can place a vote for their favorite player, and can do so here. Let’s hope the poker players chosen will be worthy of such a title.